Bluetooth, Rear View Camera, Touchscreen, Aluminum Wheels! 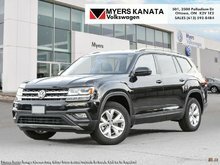 All-new for 2018, the Volkswagen Atlas is a big SUV that's big on value. Big families need a big SUV. 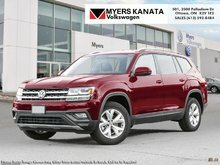 Introducing the Volkswagen Atlas, large enough to handle everything from the daily car pool to a weekend adventure. 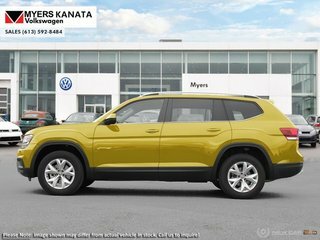 It comes standard with seven seats and a third row kids will love to sit in. Not to mention enough technology and amenities to help keep everyone happy. Life’s as big as you make it. This kurkuma yellow met SUV has an automatic transmission and is powered by a 235HP 2.0L 4 Cylinder Engine. 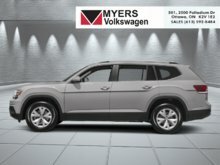 Our Atlas's trim level is Trendline 2.0 TSI. 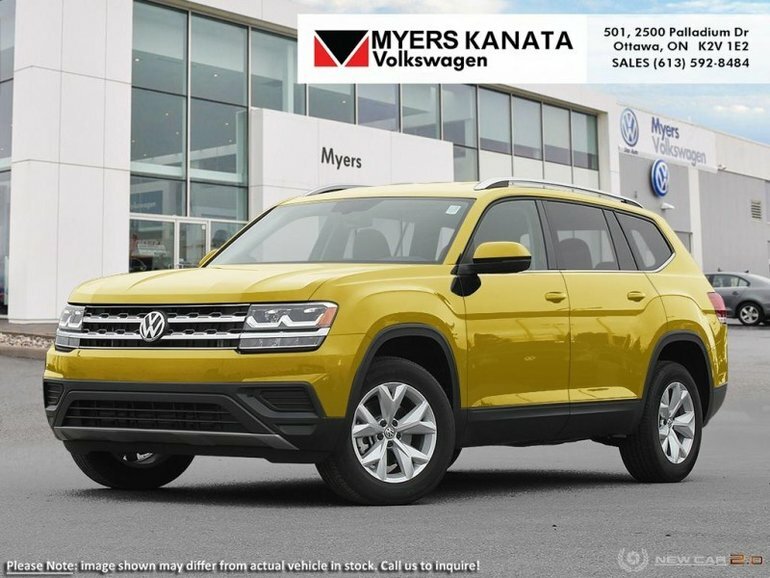 The Trendline trim makes this Atlas an outstanding value. 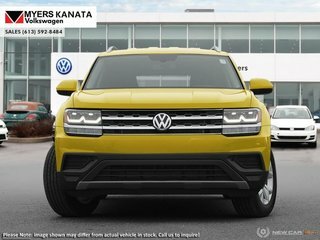 It comes with 7 seats, aluminum wheels, app-connect smartphone integration with Bluetooth, multi-collision braking, a 6.5-inch touchscreen radio with a CD player, an SD card slot, and 6 speaker audio, a rearview camera, and more. This vehicle has been upgraded with the following features: Bluetooth, Rear View Camera, Touchscreen, Aluminum Wheels. This is a demonstrator vehicle driven by a member of our staff and has just 8000 kms. 235HP 2.0L 4 Cylinder Engine - 0 cyl. 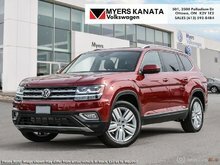 Interested in the 2018 Volkswagen Atlas Trendline 2.0 TSI - Bluetooth ?